The young Clara creeps downstairs on Christmas Eve to play with her favourite present – a Nutcracker doll. But the mysterious magician Drosselmeyer is waiting to sweep her off on a magical adventure. After defeating the Mouse King, the Nutcracker and Clara travel through the Land of Snow to the Kingdom of Sweets, where the Sugar Plum Fairy treats them to a wonderful display of dances. Back home, Clara thinks she must have been dreaming – but doesn’t she recognize Drosselmeyer’s nephew? Peter Wright’s nigh-on definitive production for The Royal Ballet ranks as one of the most enduring and enchanting versions of The Nutcracker. 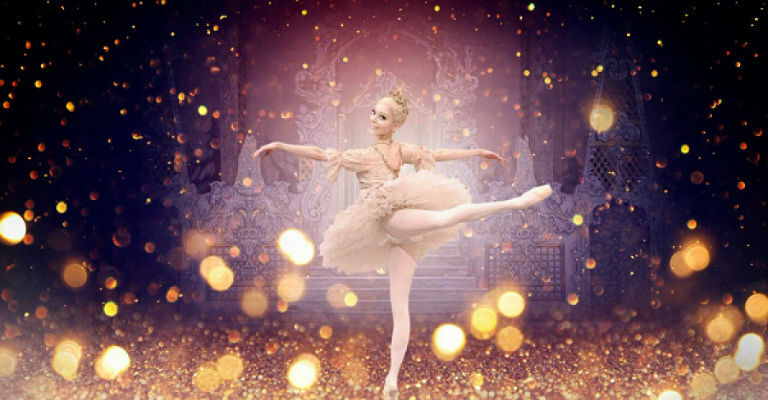 With its festive period setting, dancing snowflakes and enchanting stage magic, Lev Ivanov’s 1892 ballet has become the perfect Christmas entertainment, with Tchaikovsky’s sumptuous, sugar-spun music the most recognizable of all ballet scores. Approximate running time: 2 hours and 15 minutes, including one interval.